Have you tried these classic authors? Some Golden Age mystery writers are household names: Agatha Christie, Dorothy Sayers, Rex Stout. Others, you may not have heard of. This is a completely arbitrary list of some of my favorites, with an emphasis on writers you may have missed, but with a few old friends as well. It will continue to grow. Who else should be listed? Drop me a line at Laura@DestinationMystery.com with your recommendations. A gatha Christie is the undisputed queen of the era; if you haven’t yet read her, let me recommend you try The Mysterious Affair at Styles, A Pocketful of Rye, and The ABC Murders. 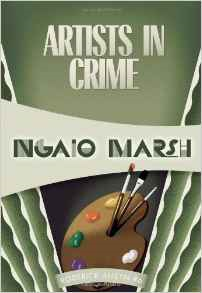 Ngaio Marsh is my favorite Golden Age writer. Of course you could read her 30+ books in order, but I always recommend to my friends that they start with Artists in Crime and then read Death in a White Tie. After that, you can read them in any order you want. Night at the Vulcan is also a stand-out: Ngaio Marsh was a theater director in addition to a writer, and several of her mysteries take place in theaters. Dorothy Sayers is of course brilliant. While the novels featuring Harriet Vane are very good (I’ve always liked Strong Poison, where she makes her first appearance), I am particularly fond of the short stories. Earl Derr Biggers created a character you’re more likely to have seen on TCM than in the pages of his novels: Charlie Chan. There are far more films than there are novels, but what a treat the books are. The Chinese Parrot is a personal favorite, dealing with the casual racism of the day head-on as Charlie goes undercover as a houseboy. The Golden Age by no means has a lock on great mystery writers. 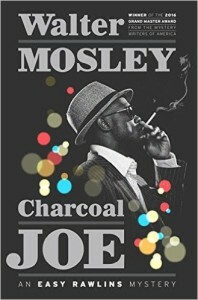 Walter Mosley is brilliance personified. 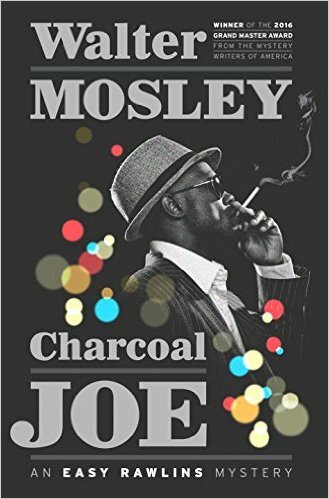 Charcoal Joe: An Easy Rawlins Mystery comes out on June 14, 2016. Can. Not. Wait. In other new-book news, The Beekeeper’s Apprentice by Laurie R. King is one of my all time favorite books, and her latest Mary Russell novel, The Murder of Mary Russell, just dropped as I write this — swoon. If you want a little alternate universe with your mystery, Frankie Bailey‘s Hannah McCabe novels take place in a not-too-distant future. And for worlds that do exist, but may be new to you (as it was to me), Alexander McCall Smith‘s The No. 1 Ladies’ Detective Agency boasts the spectacular Precious Ramotswe as heroine. Finally, a big shout-out to the late, magnificent Eleanor Taylor Bland. Sisters in Crime awards an annual grant of $1500 for an emerging writer of color in her honor; this year’s deadline is July 1, 2016. Click HERE for more information.